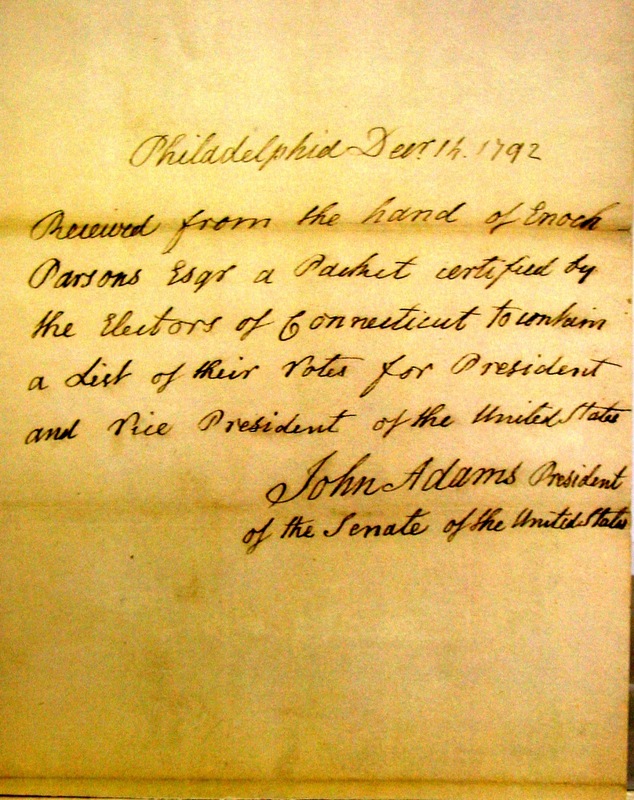 Autograph letter signed (“John Adams President of the Senate of the United States”) as Vice President and Presiding Officer of the Senate-Philadelphia. 14 December 1791 1 page. 4to slightly browned along folds, minute marginal repairs. otherwise tine. Enclosed in a half green morocco clamshell protective box with engraved portrait. In early November. 1792. electors were chosen from the fifteen states; some appointed, by their state legislatures, others elected by popular vote. On 5 December the electors cast their ballots which were formally transmitted to Congress. 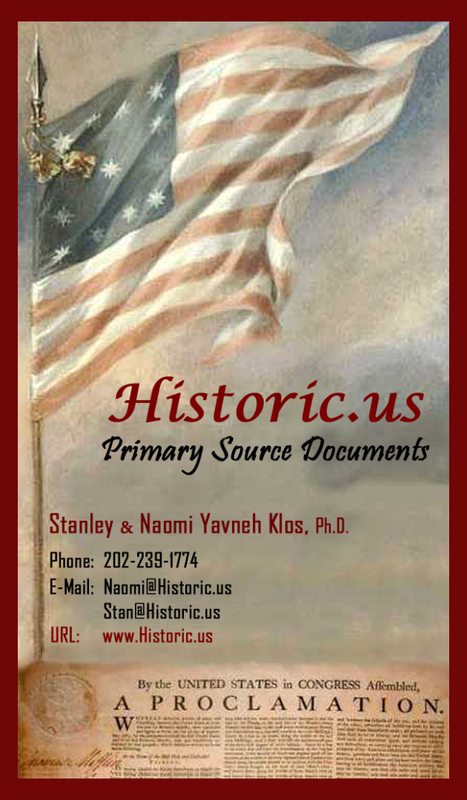 Iii February of the following year the electoral vote was tabulated by Congress. and Washington and Adams were officially declared re­elected. President Washington received 152 of the 264 electoral votes possible (each elector cast two votes). Adams received 77 votes from 10 of the 15 states, including all Connecticut’s ballots. No more than fifteen receipts like the present would have been written by Adams (one per state).